Your home the Kevin Brill on the Internet. After all the nonsense that has gone down over the past months with our current presidential administration, I've come to release that my twitter feed had largely turned into a place for people to vent their frustration without taking any real action. So I just went ahead and removed it from my devices. Life is that much more peaceful now, and I can control when I consume news, and hopefully receive it from reputable sources that aren't sensationalizing. If you've got lots of angst over what's happening in your social media feed, then by all means, stop checking. It'll make a world of difference! Rift Patch 2.8 is coming this Wednesday (the 6th of August). I'm excited to see it drop, since it's the first major content update for me since I've been max level. RiftGrate has an awesome summary of what's in the patch. I'm probably most looking forward to the prelude quests, since the story content is typically fun, engaging and can be completed over the course of a few play sessions. Late last week, I managed to get to Honored with the Torvan hunters, and picked up the next tier of cape. I also stopped being cheap and spent around 20k in Infinity Stones, and added a few pieces of gear and upgraded them to help balance out some inconsistencies in what I'm wearing. Over the weekend, I spent most of my time working on the first tier of hunt rifts, ran a daily raid rift with my awesome guild (Go go team Grievance), and knocked a few more zones off towards the Bane of the Bloodfire achievement. Still working from a place of fear, I continued to do nothing with my raid healing spec. Whenever I ended up in a zone event, I did a good job of keeping the group up and felt effective, until a chloro showed up, and completely kept the raid healed leaving me with nothing to do. Today over lunch, I went ahead and watched Seatin's really good video on Warden healing, and it was much less overwhelming than Ahov's guide on the forum. The next time I get a chance to play, I'm going to spec into Warden and make it happen. The beauty of zone events is that no one bothers you if you're sub-par, since it is typically such a zerg fest. I think too, that the need to switch to better raid frames may not be as urgent if I get a decent Warden build. There's a lot less targeting of individuals while running a Warden, which seems to be the main sticking point I have with the default raid UI and Sentinel healing. Rift is really getting its hooks deep into me, I'm having a great time, and keep looking forward to playing. 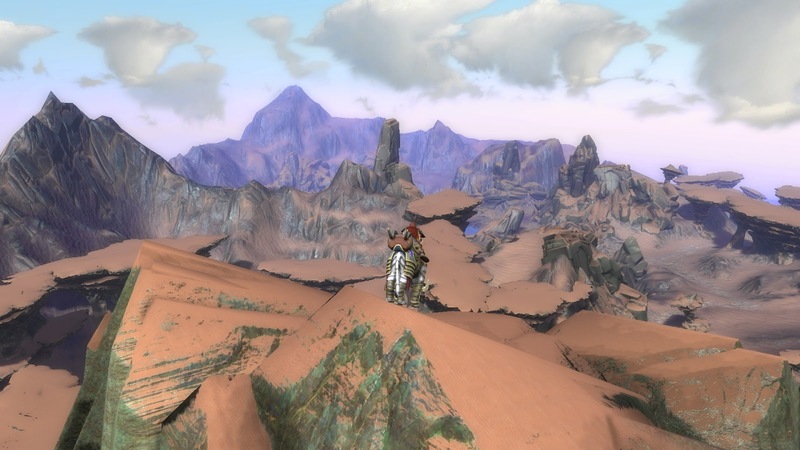 Last week, I got into the Archeage beta, and messed a bit with Wildstar, but I keep coming back to Rift. I think I need to write up a summary of what I like in what Trion has done, and what makes it win out versus other titles. 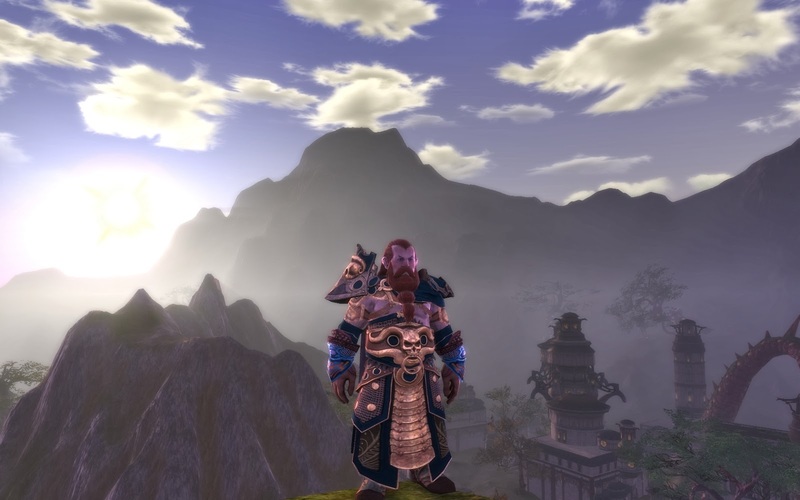 Keep on gaming, and I'll see you in Telara! Summerfest is over, I'm at level cap and it will be a few months before Nightmare Tide. I'm clearly a goal oriented achiever, so, a lot like Heather over at Pretty Little Sith, I had to set some goals to keep me interested. I'd like to get into expert dungeons and raids, but I feel obligated to not have a hodge-podge of gear hitting the ground, especially since I'm a masochist and like healing. I did a bit of research on the basics of gearing for a new 60, and identified a few spots that needed to improve. I was fortunate to have hoarded a bunch of lockboxes while leveling, so I had a good start in some areas, but they didn't fill in all the gaps. So, I tasked myself with replacing my cape and lesser essences. This is clearly something that I know of, and I have just never pulled the trigger, but sentinel is just not working in a raid environment. A majority of the heals are too slow, and by the time they pop, the chloro has topped the whole raid off. So, I've got a warden build in my future for sure. Testing new healing specs is pretty low stress, since most random groups seem to be pretty casual about roles and performance, so I can just go for it. I have the default rift raid frames set up, with mouse-over healing macros, but I've been having issues with the raid frames not properly notifying me when someone is out of range. So I end up burning a cooldown on topping myself off, when I really needed to pour some healing into the tank. I'm also not too enthused about my current key bindings. In general, I think I need to get comfortable with Click Box Healer, which is fine, since I ran Vuhdo a thousand years ago with Omar in Azeroth. I always enjoyed running a bard, pre-Storm Legion. I think it might help out with me wanting to have a hand in generally supporting and improving the raid, and not just be in a single focus DPS role. Now that the new souls are here, clerics have a true support soul in the Oracle. This looks fun to try, I just have yet to shell out the cash to pick up the Dream Souls pack. It's good to have something to focus on, and that is always key with getting me to stick with a game long term. I'll make sure to keep things updated as I go! 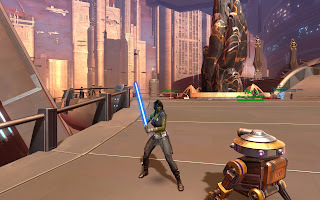 On a whim, I pulled down The Old Republic last weekend, and to my surprise, I've been having a great time. 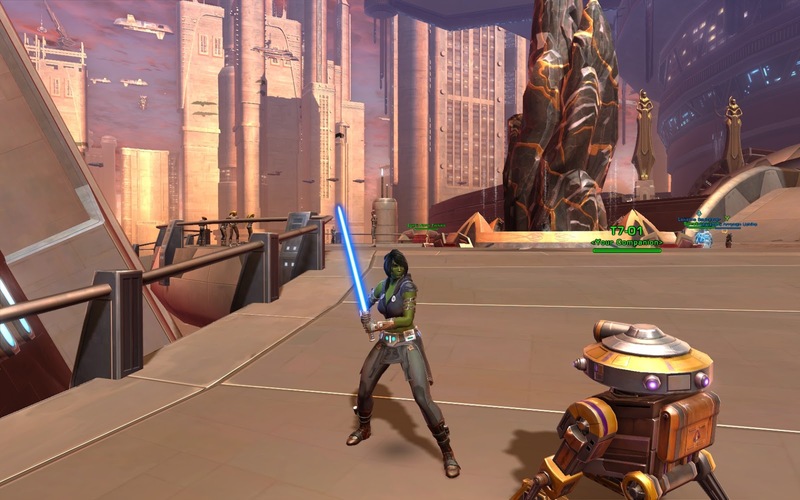 I tried SWTOR at launch (thanks to a generous gift from my bro), but it didn't stick. The expectations were too high--could it wrap in dialogue in a meaningful way, could it tell a story and still be an open and expansive universe? Would it be the next big AAA title? It fell flat against all those criteria, and I dropped it. Now, a year and a half later, I'm back in and having a great time. I actually saw the movies when they first came out (the first and best three), so I have Star Wars in my DNA. What is cooler than wielding a light-saber, and whacking away at Imperials? What's the difference with me this time around? I think that I've convinced myself that The Old Republic is best view as Knights of the Old Republic 3. There's you, doing your thing world to world, righting wrongs, and generally being Jedi-two-shoes. And occasionally, you have the opportunity to team up with other people to accomplish other goals. You really get the best of both worlds. So my big takeaway from this experience is to take a step back and remove the expectations of what you think a game should be, and what the "internet" thinks a game should be, and try to see what the game actually is. You may be surprised.